This new documentary by Lise Friedman and Maia Wechsler traces the project from the very first days of rehearsal to the actual performances months later. 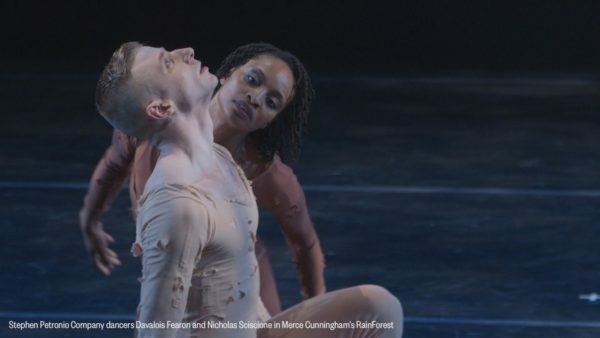 Every balletomane will lap up the intricate details of re-creating a complicated masterpiece, but also non-dance fans cannot help but be intrigued by the sheer intensity and the utmost respect that all the dancers had for both Cunningham and his work. Petronio with ‘stagers’ from Cunningham’s old company puts the dancers through intensive training of Cunningham’s dance technique which are quite unlike anything they have ever experienced before.. All of them find the focus on the isolation of individual movements both exciting and challenging. There is always this fine line of merely copying the original moves and on the other hand being allowed to somehow incorporate some of their own personality and spirit into it.